An extremely rare opportunity in this quiet neighborhood with NO HOA that offers a country life atmosphere within city limits minutes from the 101 Fwy – a home that is 2231 sq. ft. AND boasts SRP (inexpensive irrigation source) irrigated 1.34 acres (per tax records)! Plenty of space for your RV, toys and horses/animals. 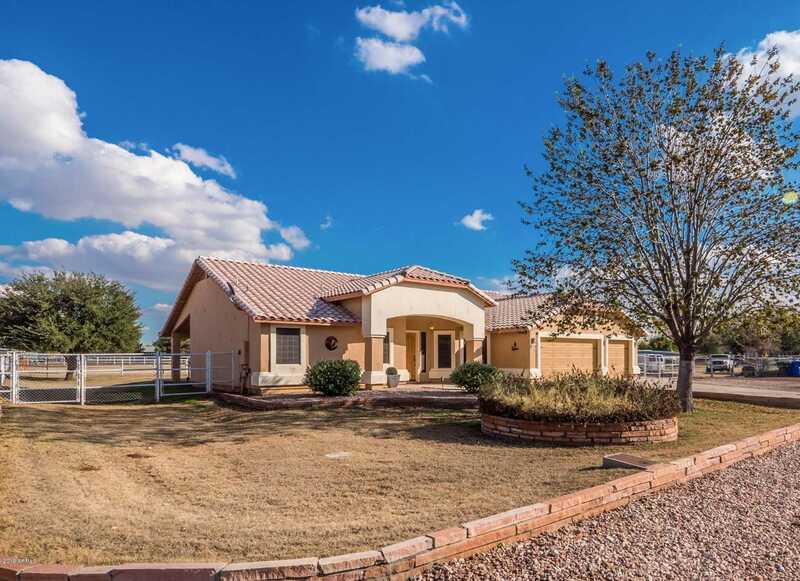 This meticulously maintained split floor plan 3 car garage home has an amazing kitchen with gorgeous maple cabinets that feature drawers with soft close, granite countertops, Induction Cooktop with fan, trash compactor, and built in hutch with fold out table for extra space when you need it. Beautiful wood floors enhance the kitchen/family area, which has vaulted ceilings and custom entertainment center. A/C 2 years old. Directions: From Camelback go North on 107th Ave. to Solano. Turn right and proceed East – Solano turns into 106th Ave. Home will be on right side of street. Approximate size: 58431.00 sq. ft. Please, send me more information on this property: MLS# 5870929 – $490,000 – 5711 N 106th Avenue, Glendale, AZ 85307. I would like to schedule a showing appointment for this property: MLS# 5870929 – $490,000 – 5711 N 106th Avenue, Glendale, AZ 85307.